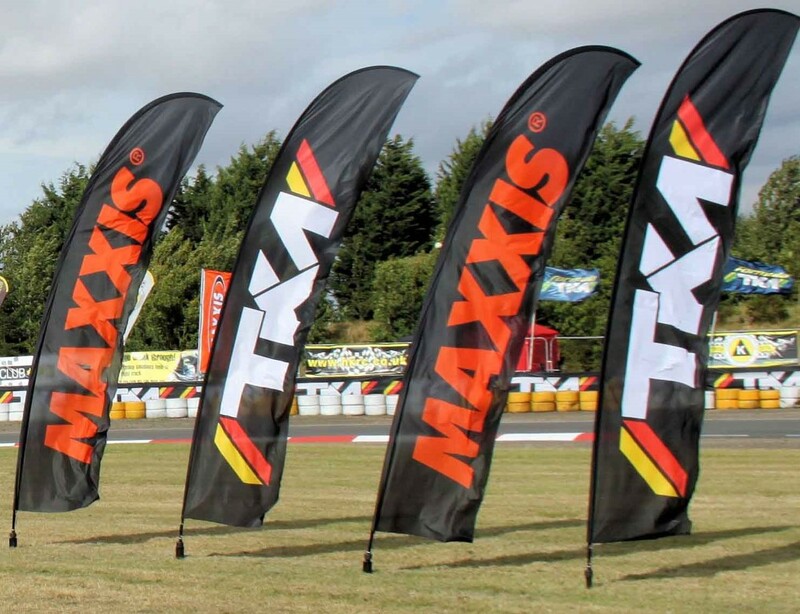 Tal-Ko Racing is the exclusive UK distributor for the Maxxis tyres used within the Formula TKM 2 & 4-stroke classes. These tyres have been specially developed and approved for the class in conjunction with Tal-Ko with the accent on providing high performance long lasting tyres suitable for the classes at sensible costs. 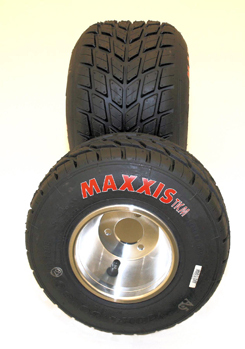 Maxxis are themselves a world-wide name in the design and manufacture of tyres used within specialist areas such as racing, off-road, bikes, etc. The company has invested heavily to ensure only the highest quality standards and production efficiency giving its customers the very best of tyres at affordable prices. We offer two types of tyres - for dry and wet conditions, both of which feature the latest New Age technology in their construction to provide superb long and consistent performance while meeting all the latest emission laws. Maxxis New Age with GREEN labels, used as the slick dry weather tyres for all the TKM 2-stroke & 4-stroke classes. Every tyre has Formula TKM moulded into its sidewall and is individually barcoded. These tyres are marked with a rotation direction arrow and should only be run this way. Use 130mm front wheels & 210mm rear wheels with between 8psi to 12psi pressure all round. Maxxis New Age with RED with a WHITE outline label, an advanced wet weather tyre used in all Formula TKM 2 stroke & 4-stroke classes. Every tyre has Formula TKM moulded into its sidewall and is individually barcoded. These tyres are marked with a rotation direction arrow and should only be run this way. Use 120 - 130mm front wheels & 140 - 180mm rear wheels with between 8psi to 30psi pressure all round. The wetter it is the higher the pressure. For cold winter running use narrow rims and high pressures for best results.